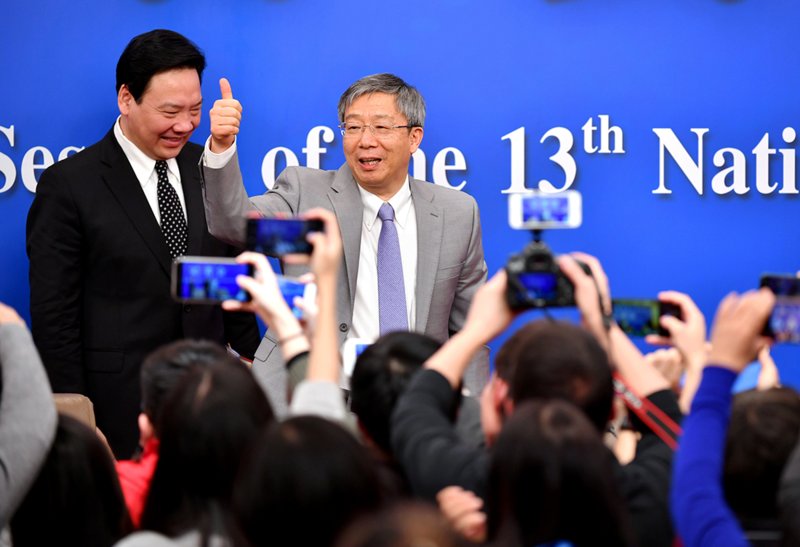 Yi Gang, Governor of the People’s Bank of China, answered questions on financial reform and development in a press conference on 10th March 2019. The annual meetings of the National People’s Congress (NPC) and the Chinese People’s Political Consultative Conference (CPPCC)—also known as the ‘Two Sessions’—are widely followed by governments, media, political pundits, economics analysts and China watchers around the world. They are also closely monitored by those with ‘skin in the game’: parties with a business already set up in China or investors looking to get involved in the world’s second biggest economy. The ‘Two Sessions’ are usually fraught with newsworthy content and, while typically announcements on GDP growth targets, further opening up on foreign investment, or political declarations tend to be the topics that always make the headlines, these meetings can also offer some insight on the leadership’s strategy on other less limelight-stealing issues. Even though this latter group includes the promotion of SME development, one should not make the mistake of thinking that no attention whatsoever is paid to the issue. After all, SMEs in China do represent 99.6 per cent of companies, comprise more than 60 per cent of its GDP and play a key role in fostering innovation and creating employment. In view of the multiple challenges that arose in 2018 and the first quarter of 2019—from the slowing down of China’s economy to the US-China trade tensions—the Chinese leadership has been stepping up its efforts towards supporting the development of businesses. Thus, while showcasing the progress made in the past year on a variety of issues, the 2019 government work report also recognised that there was room for improvement in areas like the upgrading of the business environment in general and access to affordable financing for SMEs. What is the big news coming out of the 2019 Two Sessions for SMEs? In terms of macro policies, it was made clear by the work report—and subsequently by high-level officials like the People’s Bank of China’s (PBoC) Yi Gang—that a “prudent monetary policy” would be carried out. This means that, although the likelihood of any large stimulus package being rolled out anytime soon is low, monetary policy instruments will still be used to—among other things—decrease the difficulty for small businesses in accessing financing. Measures announced include more targeted cuts to required reserve ratios for medium and small banks, the released funds of which will be lent to private enterprises and small and micro businesses. Also, the work report set a target of a 30 per cent increase in loans granted to small and micro businesses by state-owned commercial banks. This emphasis on continuing to carry out a prudential monetary policy means that, conversely, more weight will be put on fiscal policy, which for SMEs essentially implies further tax cuts. The reduction of financial burdens for SMEs through tax cuts and preferential tax policies is not new, however. In fact, it was a recurrent theme throughout 2017 and 2018. For instance, in October 2017, the State Administration of Taxation announced that, in order to support micro and small enterprises, businesses with a monthly sales volume of between Chinese yuan (CNY) 20,000 and CNY 30,000 would be exempted from value-added tax (VAT), a threshold that was increased to CNY 100,000 in a January 2019 announcement by the State Council. During that same meeting, the State Council also announced that for SMEs with taxable income below CNY 1 million/year, only 25 per cent of income would be considered taxable. Furthermore, in the case of enterprises with between CNY 1 to 3 million/year of taxable income, only 50 per cent of this income would be considered taxable. Preferential task policies for innovative or high-tech enterprises are also a recurrent theme and part of the wider push to encourage innovation. The improvement of the business environment was another of the key issues addressed in the 2019 government work report. In 2018, a number of measures to improve the business environment were introduced in various Chinese cities (prompting the country’s considerable rise in ranks in the World Bank’s index on ease of doing business). This commitment to continue this development trend was renewed throughout the 2019 Two Sessions. Some of the measures envisioned include reducing and simplifying approval procedures, making it easier to obtain licenses, developing online services and establishing a government service evaluation system. What are the implications of these moves for European SMEs? If one thing has become clear in recent years, it is that it is in the best interest of the Chinese government to improve the operating conditions of SMEs, both domestic and foreign. The measures and policies outlined above are proof that a degree of willingness to support the development of SMEs is indeed present within leadership circles. Nonetheless, there are a couple of aspects to take into account when analysing these announcements and measures. To begin with, it is important to note that while fiscal policy-related measures such as tax reduction and VAT reform are certainly beneficial to all SMEs, their trickle-down effects tend to become noticeable in the longer term. Furthermore, in the short term (crucial for SMEs), the key issue of financing is still very much shrouded in uncertainty. Although the Chinese Government’s intention to address this challenge has been clearly expressed in numerous occasions, the fact is that SMEs in general (and more so foreign SMEs) are still regarded by financial institutions as high-risk, low-return investments, and therefore cannot compete against the security offered by state-owned enterprises (SOEs). This situation is not likely to change unless some major reforms and effective measures are developed and carried out. Finally, as mentioned above, the improvement of the business environment seems to be a priority for the government this year. If implemented effectively, this can potentially reduce the burden of SMEs and bring considerable benefits to them. According to the feedback provided by European SMEs to the EU SME Centre and the European Chamber, the impact of the past years’ efforts towards improving the business environment has, in some cases, been noticed. However, a number of European SMEs have also reported encountering issues related to the implementation of these measures and to the equal treatment between domestic and foreign companies—especially when it comes to business registration procedures. In conclusion, from the outcomes of the Two Sessions it can be surmised that China is in earnest when it comes to supporting the development of private enterprises, and more concretely SMEs. 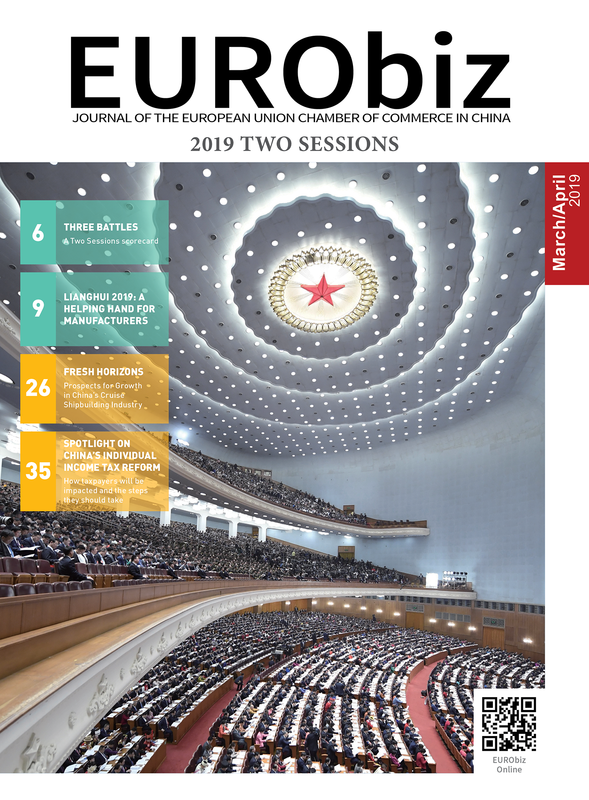 This is why it is all the more important for the European SME community in China to come together through platforms like the EU SME Centre in order to properly convey their feedback and their recommendations to the Chinese leadership. Guo, Linmao, and Ma, Xianghui (Eds), People’s Republic of China Small and Medium-sized Enterprises Promotion Law: Guidebook, China Democracy and Legal System Publishing House, Beijing, 2017, pp. 15–19. Our team of experts provides advice and support in four areas—business development, law, standards and conformity and human resources. Collaborating with external experts worldwide, the Centre converts valuable knowledge and experience into practical business tools and services easily accessible online at http://www.eusmecentre.org.cn/. Share the post "‘Two Sessions’ 2019 Through the Lenses of European Small Businesses"